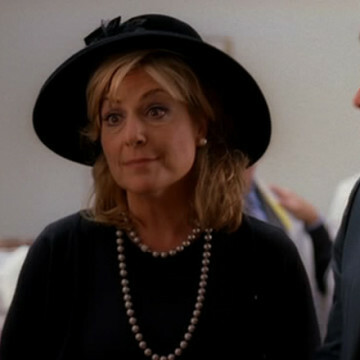 The part of Nick Rubenstein’s mother Sheila is played by Caroline Aaron. She makes her only appearance during S03E17, The Return of the King, and her character struggles to keep Nick off of his phone as they honor and celebrate Yom Kippur together. Caroline’s other acting gigs include the role of Marge in 1990’s Edward Scissorhands as well as the role of Annie Schmidt in both 21 Jump Street and 22 Jump Street.